Amazing opportunity at this new adjusted price! 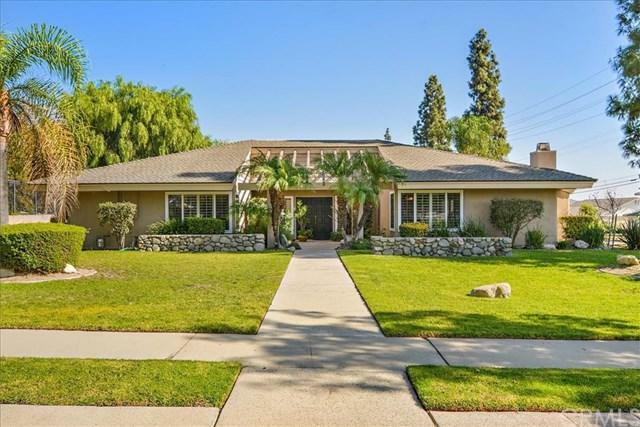 Elegant Single Story North Upland Pool home on a sweeping, wrap around corner lot. This home is sure to impress! The double door entry leads you to an expansive formal living room with soaring ceilings, beautiful hardwood floors and a recessed fireplace. Mix up your favorite cocktail at the wet bar and host fabulous dinner parties in this formal dining room that flows out through the glass slider to a picturesque courtyard. They say home is where the heart is and the heart of this home is in the stunning gourmet chef's kitchen. Beautifully remodeled with a grand center island that opens to the family room and a 2nd cozy fireplace. Featuring high end cabinetry, beautiful granite counter tops, professional grade appliances and a large walk-in pantry. There are 4 bedrooms - one currently used as a spacious office with integrated surround sound. The master suite is spacious and ready for the new owners to reimagine and make their own. The secondary bedrooms share a beautifully remodeled jack-and-jill bathroom. The backyard has a sparkling pool and is perfect for relaxing, outdoor dining or entertaining. Additional features include a 3 car garage, boat/trailer parking, solar panels for energy efficiency, newer roof, HVAC system and windows throughout, top rated schools within the Valencia Elementary school boundary. Make this home yours today. Sold by Amy Cruz of Kw College Park. Listing provided courtesy of Gabriella Cabrera of Realty One Group, Inc.